With your Sony camera safely protected by the desertSuit PXW-X200, you can finish your shoot at the beach, in the desert or any other location where dust, sand and/or water threaten to damage your camera. This protective cover is made of a white reflecting material which not only protects your high value equipment from dust and water, but also reduces the sun’s heat on the camera. 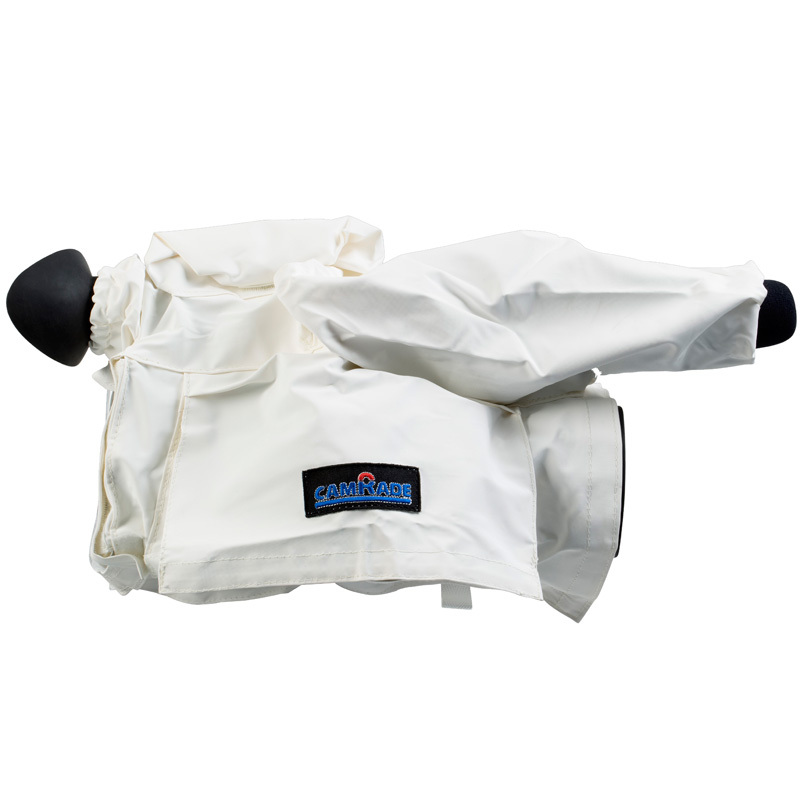 Made from a special fabric, the exterior will repel water and dust while the soft interior keeps out unwanted sounds caused by wind and rain. The desertSuit has an Easy-on-Easy-off construction that covers the camera’s body, viewfinder, lens, battery and microphone. 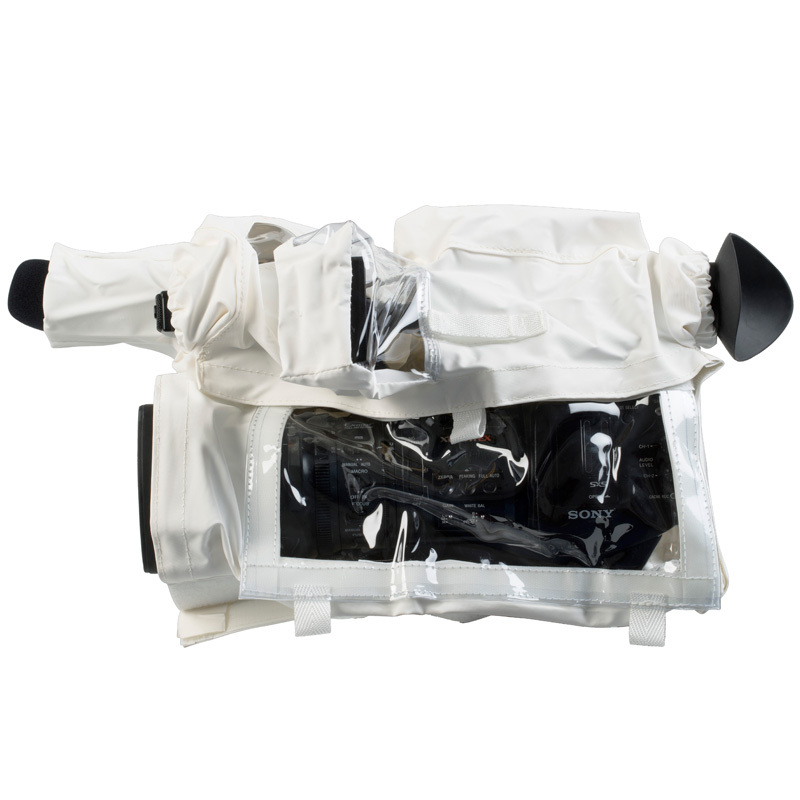 The camera’s control options are still available and visible for the camera operator through the vinyl windows and flaps with hook and loop fasteners. Hook and loop fasteners are also added around the lens and on the bottom of the cover to help you seal the cover and keep out dust and rain. 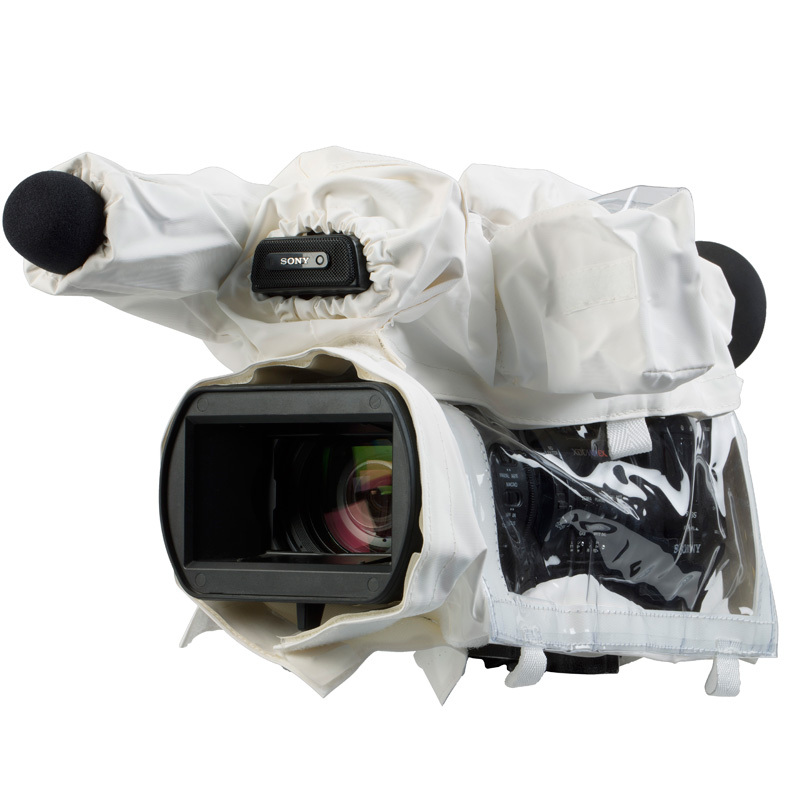 This weather-proof camcorder cover will keep you shooting, even in extreme conditions and is delivered to you in a waterproof pouch with zipper.